Note: I first preached the following sermon back in 2002. As I read through this sermon today, I am shocked at what I used to think and teach. Based on what I believe today, I would say that roughly 90% of what follows is incorrect. We humans are evil sinners, under the control of the devil and our sin nature. We were dead and unable to do anything to change. Worse yet, because of sin, God’s wrath burns against us, and He wants to send us all to hell. If you read Ephesians 2:1-3, and listen to most sermons on these verses, that is the type of message you will often hear. But as I said, my thinking has changed. Here are a few key areas which have changed and which affect how Ephesians 2:1-3 is to be understood. The word “dead” does not mean non-existent, nor does it refer to total inability. Instead, it refers to powerlessness, weakness, corruption. It is to be understood in light of Genesis 3–5 where sin leads to death, which is primarily physical death, and especially the death of murder (I explain all this in more detail in my One Verse Podcast). The spirit of the power of this air is a reference to satan, but satan is best understood in light of what his name means, which is accuser. The course of this world, the spirit of this age, is the spirit of accusation and blame. Religious people are quite guilty of engaging in these activities, which means that the trespasses and sins in view is not the “sins” we Christians often condemn in others, but is actually the true “sin” of accusing and condemning others. Paul is most concerned here with the same thing that Jesus was most concerned with, which is the religious sins which people commit in God’s name. When these things are corrected by God (Eph 2:4-10), peace and unity result (Eph 2:11-22). We know this because Paul includes himself in the description of engaging in these practices, and yet he kept the law perfectly. So what sins did Paul engage in along with everybody else? The sin of accusation and blame, which leads to scapegoating violence and murder. These things all come from desire, which Paul also mentions in the context, and also takes us back to Genesis 3–4. There is no mention of “the sinful nature” in these verses. This phrase from the NIV is a tragic mistranslation of the Greek text. Paul is talking about the lusts and desires of the flesh. The “flesh” refers to our physical body, and it is from our flesh that lusts and desires rise, as we imitate and covet what other people have. Wrath, then, is not God’s wrath toward us, but human wrath directed toward one another (which we then justify by blaming it on God). Wrath is when we engage in violence against others, and do so in God’s name. It does not come from God, nor does it have anything to do with hell or eternal punishment..
We humans live in a world of sin and death, which we inflict upon ourselves by accusing, condemning, and killing one another, and justifying it all by doing these things in God’s name. We did these things because in our flesh, we knew no other way to live. We religious people killed and were killed, just like everyone else. That summary is very different than the first summary above! The best way, then, to approach Ephesians 2:1-3 is to “reverse engineer” it from where Paul ends up at the end of Ephesians 2. 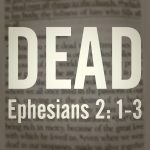 Paul has a clear progression in Ephesians 2, following the “Problem (2:1-3) – Solution (2:4-10) – Application (2:11-22)” format. If all the “sins” we Christians like to focus on were really the issue for Paul, Paul’s train of thought would conclude with an application about how we must stop lusting, lying, stealing, etc. But Paul does not go there at all. Instead, Paul ends his train of thought by talking about how Jews and Gentiles, who used to hate each other, are now brought together in peace and unity as one family. Therefore, since this is the application Paul aims for, then the problem and solution must logically lead up to this application. The problem in 2:1-3, then, cannot be about the “sins” we Christians often focus on, but rather, the “sins” we tend to ignore and overlook, which are the sins that create disunity and enmity between ourselves and other people in the world. These are the sins of hatred, accusation, blame, scapegoating, and rivalry. These are the sins that dehumanize us and dehumanize others. Anyway, as you read the following sermon text, you will see that this is not at all how I used to understand Ephesians 2:1-3. However, I am including the text here anyway for posterity sake, and so that you can, along with me, imagine a new way of reading and teaching Scripture. Malcolm Muggeridge, the famous British philosopher and journalist who converted to Christianity late in life, once told the story of when he was working in India as a young man. One evening, he went down to the river for a swim. As he entered the water, he saw across the river an Indian woman from a nearby village who had come for her evening bath. Muggeridge immediately felt the allurement of the moment, and he was besieged by temptation. He had lived with this kind of temptation all his adult life, but until this moment he had fought it off out of respect for his wife. But tonight, he was weak and vulnerable. He hesitated just a moment, then swam furiously across the river toward the woman, literally trying to outdistance his conscience. When he was just a few feet away from her, he emerged from the water and what he saw took his breath away. Here was a man who caught a small glimpse of his own heart. Imagine, if you can, a writhing mass of maggots thriving off the flesh of a rotting corpse. Imagine going home today, and opening your refrigerator door and finding it swarming with cockroaches. Imagine crawling into bed tonight, and as you pull the covers up around your neck, the bed seems to crawl around you as well. You flip on the light and discover that your bed is full of slimy earthworms. If you can imagine some of these things, then like Muggeridge, you have just seen a picture of how your heart of sin appears to God. This is what Ephesians 2:1-3 reveals to us. So far in the letter to the Ephesians we have seen what we have been given in Jesus Christ. We have looked at how rich we are. Now Paul moves on to a slightly different subject. He has shown us our spiritual possessions in Christ; he now wants to show us our Spiritual position in Christ. He has shown us what we have, he now wants to show us who we are. You know, it is one thing to have a million dollars. But it is quite another to have a well known family. How would you act if you were a multi-millionaire? And how would you act if you were part of the Kennedy family or the Bill Gates family? How would you act if you were a prince or a princess? Well, if you are a believer in Jesus, not only are you a spiritual millionaire; you are also spiritual royalty. We have incredible spiritual possessions and an amazing spiritual position. Ephesians 2 tells us what our position is in Jesus Christ. 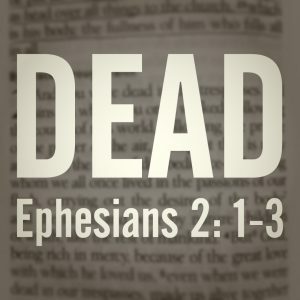 We will be looking at Ephesians 2:1-3. In Ephesians 2, Paul shows the full spectrum of our new position. This chapter is the Christian’s past, present, and future. Paul begins with where we were before we were saved, then he tells us what happened. Next he shows us what we are now, and finally what we will be. 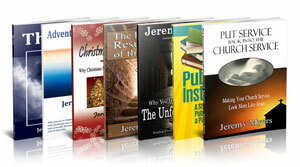 Chapter 2 is a glorious chapter about salvation; about the gospel message. It begins where we all should begin when sharing the gospel with someone – with our sin. To see this, let’s begin by reading Ephesians 2:1-3. This is where we were before we were saved. Paul wants to show how amazing our new position is. So he starts with where all people begin – in the disgusting depths of depravity. In the slimy slough of sin. As for you – you who have believed in Christ for eternal life. As for you – you who have the possessions in Christ that Paul has just talked about. As for you, you were – here’s what you once were. Here’s what you were like before you were saved. And what were you? Paul says, You were dead. This Biblical statement about the deadness of all humanity is hard to reconcile with everyday experience. Lots of people who make no claim to Christianity appear to be very much alive, don’t they? “One has the vigorous body of an athlete, another the lively mind of a scholar, a third the [spirited] personality of a [movie star]” (Stott, 72). Are we to say that if Christ has not saved them, these people are in fact “dead”? Though they may be very much alive physically, but in the realm that matters most – the spiritual realm (which the majority of people ignore) – they are dead. And when you look upon their spiritual life, it is very obvious. They are blind to the glory of Jesus Christ, deaf to the Holy Spirit. They have no love for God, no sensitivity to spiritual matters. They have no desire to read God’s word or fellowship with other believers. They are spiritually unresponsive. They are a corpse. They are dead. This world is full of the living dead. It is like the movie “The Sixth Sense” where the young boy looks at his mother and says, “I see dead people.” When you look at the world and all the people hustling back and forth, if you view them with spiritual eyes, all you see is dead people. Of course, some people have the strange idea that dead means non-existent. But that is clearly untrue. Dead bodies still exist. They exist as rotting corpses and lifeless flesh. Dead spirits still exist as well. They exist either in heaven or in hell. So dead simply means useless, lifeless, incapable of doing the things those who are alive are able to do. And then Paul says that before we were saved, we were dead in our transgressions and sins. The NAS says trespasses and sins. We were spiritually dead so that the only thing we were able to do was transgress the law and sin before God. We were not able to do anything that was pleasing to God. These two words, transgressions and sins are different terms for the same idea, but each has a slightly different emphasis. A transgression is when we disobey God’s law. When we trespass, we go where we are not supposed to; when we transgress we do what we are not supposed to. A sin, on the other hand, is when we miss the mark. I’m sure you’ve heard this before, but the term “sin” is hamartias. It is an old word used by archers when their arrow missed the target. What is the target we are supposed to aim at? We are supposed to be holy as God is holy. But every time we sin, we miss the mark and fail to live up to the holiness of God. In Ephesians 2:2, Paul says that it is in these transgressions and sins that we used to walk. Look there with me. Ephesians 2:2. in which you used to live when you followed the ways of this world and of the ruler of the kingdom of the air, the spirit who is now at work in those who are disobedient. Our former way of life was a death walk (McCalley, 17). We were on a walk – but not the kind of walk most of us go on during the warm summer evenings. This walk – in the words of John Stott – “was no pleasant promenade in the countryside” (Stott, 72). It was a death walk; a walk of slavery to trespasses and sins. We were walking the plank, and didn’t even know it. We were walking the road to destruction, and didn’t know anything different. In a way, we were a bit like lemmings. Lemmings blindly follow the crowd until they fall off a cliff or drown in the ocean. Like them, we were headed for destruction and didn’t even know it. It was who we were and what we did. Paul hints, of course, that this used to be our pattern of life. It is how we used to live. This was our former way of living. In our new way of life, we should not be characterized by these things anymore. And he will talk later about how we should live, but for now he is concerned with where we have come from and how we used to act. And so in verse 2, Paul lists three different things that when we were dead, we used to follow. The first is the ways of this world. “This world is the satanically organized system that hates and opposes all that is godly (John 15:18, 23)” (Hoehner, BKC, 622). I think we all know what the ways of this world are – I don’t need to go into detail. So we followed the ways of this world, and second, we followed the ruler of the kingdom of the air. Who is this ruler or prince? We saw this ruler mentioned in 1:21 when Paul mentioned that Christ is above all rule, authority, power, dominion and title. In that list of five spiritual beings, the term rule (or ruler) comes first. The kingdom of the air can be none other than the demonic realm. So this ruler must be Satan. (cf. 1 John 5:19; 2 Cor 4:4; Rev 12:9). The third thing we followed which resulted in transgression and sin is the spirit who is now at work in those who are disobedient. The Greek makes it clear that the spirit mentioned here is not Satan (Stott, 74; Hoehner, 622). Rather, it is an impersonal force or nature or characterization that is present with all unbelievers. Remember in 1:17, how the term spirit there refers to our nature or character of wisdom and revelation? It is the same here. As unbelievers, we had the spirit of disobedience, the nature or character of rebellion against God. As we will see in the very next verse, Paul talks abut this sinful nature. So look at Ephesians 2:3. Ephesians 2:3. All of us also lived among them at one time, gratifying the cravings of our sinful nature and following its desires and thoughts. Like the rest, we were by nature objects of wrath. Here in Ephesians 1:3, Paul begins by saying All of us also lived among them at one time. There are no exceptions here. All means all. You, me, John MacArthur, Chuck Swindoll, Billy Graham. In fact, when Paul says All of us, he includes himself among this depraved crowd. All of us at one time lived among them. All of us at one time lived like them. All of us were dead in our transgressions and sins. Paul says next in Ephesians 1:3, that all of us were gratifying the cravings of our sinful nature and following its desires and thoughts. Like Malcolm Muggeridge, we had cravings and desires and thoughts that flowed from our sinful natures, and we did everything possible to gratify those cravings. Paul’s point here in Ephesians 2:3 is the same. As a sinner, our life’s goal and task is to gratify ourselves. To serve ourselves. To feed, clothe and amuse ourselves. To promote and honor ourselves. And he says we work to gratify the cravings (or the lusts) of our sinful nature (or our flesh). Each and every one of us has a sinful nature. It is a spiritual condition worse than leprosy, cancer or AIDS. As an unbeliever, it is at the core of our being and has overtaken and disfigured all aspects of who God originally made us to be. It works it’s way through us, says Paul, by our thoughts and desires. That is, what you think, and what you want to do. And in an unbeliever, the sinful nature with it’s thoughts and desires always wins. An unbeliever does not have the power or the ability to withstand the sinful nature. The unbeliever is enslaved to sin, and cannot do anything but sin. 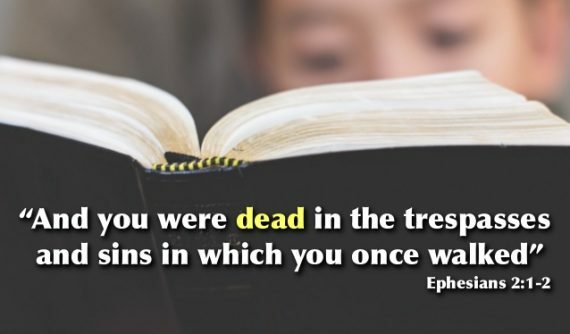 So in Ephesians 2:2-3, Paul shows us the sources of sin – it comes from the world, it comes from Satan, and it comes from ourselves – and that all unbelievers are dead in sin and enslaved to sin. This is key, because Jews at the time of Paul thought that all sin was a result of the devil. We sometimes think that too. We always want to blame sin on Satan. What do we say? “Oh, well, the Devil made me do it.” Paul says here, well maybe the devil prompted or tempted you, but it also might be the worldly influences in your life. And don’t forget yourself. Most sin is a result of our own sinful nature. We can’t blame it all on Satan. In fact, James says that we sin because we follow our own sinful desires and lusts. Paul is saying the same thing here. And as a result, Paul says one last thing about our sinful nature at the end of Ephesians 2:3. Like the rest, we were by nature objects of wrath. We have a sinful nature, and therefore, we are by nature, sinners. There is always a debate among philosophers and humanitarians whether mankind is basically good or basically evil. Paul tells us here what we were by nature object of wrath. Our nature is sinful and evil. Paul says here that the by-product, or result, of this nature is that we were objects of wrath. In Romans, he says that the wages of sin is death. It’s the same idea. In fact, the phrase objects of wrath, could be translated children of wrath. In Greek, there are a couple of words for children. The one here is tekna, and it suggests a very close relationship. As believers, we are tekna – children of God. We have a close relationship with Him. Here, unbelievers have a close relationship as well; not with God, but with His wrath (Hoehner, 623). Like the rest, like all sinners, we were headed for destruction. We were headed for judgement. We were headed for hell. We had the disease of sin, and it is a terminal disease. 100% mortality rate. No human cure was available. The outlook was bleak. And that is where we are going to end today in our text. I know it’s a pretty bleak picture. But Paul wanted to begin in the dumps so he could bring us to the mountaintop and show us our mansion. We always appreciate the peak much more when we see the depths from which we have been brought. But that is not what Paul says here, is it? In fact, at our men’s Bible Study on Thursday, we were looking at Paul’s instructions to Timothy in 1 Timothy 1:8-11. The section was about how sinful everybody is. Paul lists murder, adultery, perverts, slave traders, and perjurers. And most people look at that list, and say “Well, I don’t do any of those things.” Well, there’s one that Paul lists that I didn’t. He also lists liars. Christ says in Matthew 5 that anyone who hates his brother or sister is guilty of murder and anyone who looks at a woman lustfully is guilty of adultery. James 2:10 says that if you commit only one sin, you are guilty of all of them. 1 John 1:8 says that if we claim to be without sin, we lie – which of course is a sin. So if you don’t think you’ve done any of those things – you are a liar – and therefore a sinner. Do you think you are a pretty good person? If so, you’re not being honest with yourself. Even Paul called himself the chief of sinners (1 Tim. 1:15-16)! Jesus was always confronting people who had that kind of attitude. The self-righteous Pharisees. The rich young ruler. Let me just ask you a few questions. And you can ask these same sort of questions to people you run into who think they are pretty good. All of these are Scriptural principles taken from the Bible. These are God’s ideas – not mine. To you married men, are you as good a husband as you might be? Do you try to make life easier for your wife? Do you inflict your moods on your family? Are you a spiritual leader to your family? To you married women, are you as good a wife as you might be? Do you really take an interest in your husband’s work and try to understand his problems and worries? Parents, are you as good parents as you might be? Do you discipline and train your children as you ought, or do you often avoid the issue? As your children grow older, do you come nearer to them, or do they drift away until conversation is often difficult and they practically become strangers? Young men and women, are you honest with your parents and with your teachers? Do you talk negatively about others behind their backs? Do you ridicule and make fun of other people at school? Do you ever say thank you for everything your parents have given you and done for you? Do you ever see the hurt in your parents eyes and know that you put it there? Young men, do you treat young women with respect and courtesy – as you would treat your own sister? What do you allow your eyes to see? Young women, do you behave in a way that is modest and pure? What do you allow your ears to hear? Children, do you obey your parents without complaining? Do you talk back to your mother’s or fathers? All of us, are we as good workmen as we could be? Is every waking moment filled with our most conscientious work and ever task done as well as we could possibly do it? Do we always look out for the good of others – even at our own expense? Do we always speak kind words and think good thoughts? That’s a hard list to hear, isn’t it? If it was hard for you to hear, it was harder for me to say it. I saw my own hypocrisy in many of the questions I asked – especially the ones to married men. But you want to know what? That’s the point. Paul wanted to show us our hearts. I saw mine in there – black as death. Did you? Of course, if you were listening to all of this, and you were not convicted by something, well, you not only have a black heart, you also have a hard heart, which is worse by far. Someone who knows they have a black heart also knows that they need help. Someone with a hard heart is blindly traveling the road to destruction. Did you see yourself today? Paul has shown us our terminal disease. Everyone in the world has either been there – or is still there. This radical disease requires a radical remedy. After the new year, we will begin to look at the rest of chapter two in order to see what this remedy is.